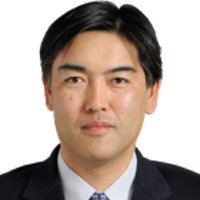 Kohei M. Itoh is the Dean of the Keio Faculty of Science and Technology, and the Dean of the Keio Graduate School of Science and Technology. He graduated from Keio University with B. Eng. and received M. S. and Ph. D. degrees from the University of California, Berkeley, based on interdisciplinary research spanning semiconductor materials science and particle astrophysics. He joined the Faculty of Science and Technology of Keio University in 1995 and became Professor in 2007. His current research focuses on physics of semiconductors, quantum computing, and sensing using state-of-the-art semiconductor nanotechnology and characterization tools. He has over 300 publications and serves on a variety of executive boards including the Physical Society of Japan and the Japan Society of Applied Physics. Currently, he is a Member of Science Council of Japan representing a large body of scientists in Japan, and the Research Supervisor of the Japan Science and Technology Agency’s “Quantum state control and functionalization project” for top young researchers in Japan. He is the recipient of Japan IBM Prize (2006), JSPS (Japan Society for the Promotion of Science) Prize (2009), and Fellow of the Japan Society of Applied Physics. He is also the founder of the IBM Q Network Hub @ Keio University.